This is the sort film Atelier. It was ritten and directed by Elsa María Jakobsdóttir, and stars Rosalinde Mynster, Anna Rothlin, Oscar Töringe, and Marijana Jankovic. The film was shot at Kuben on Furillen in Gotland, Sweden in October 2016. The project was supported by Mikael Blomqvist, Johan Hellström and Film på Gotland. Atelier is a graduation film from The National Film School of Denmark. 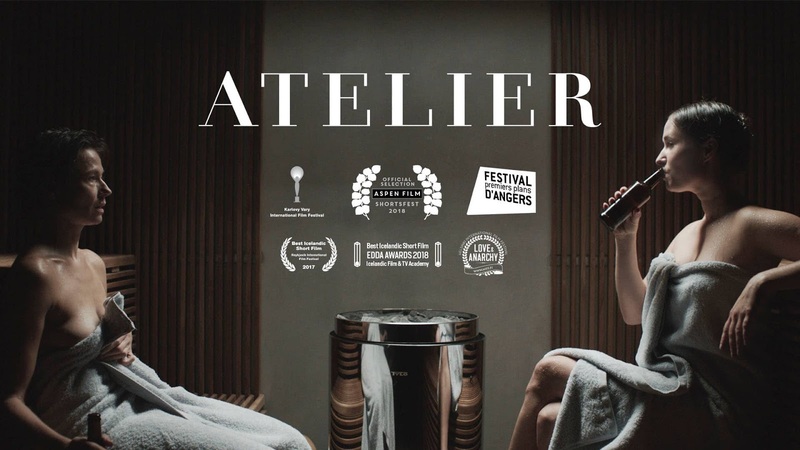 "Imbued with mystery, soul-searching and sly humour, Atelier tells the story of a woman seeking peace and quiet at a modern studio utopia. Her stay is jarringly interrupted by a sound artist while mysterious sheep close in on the house."